Vladimir Baluh's sister was taken out from the court session because she loudly said that the case had been fabricated. Kremlin-controlled Razdolnensky District Court continued to process a criminal case against Ukrainian activist Vladimir Baluh on July 24, the Crimean Human Rights Defence group wrote. 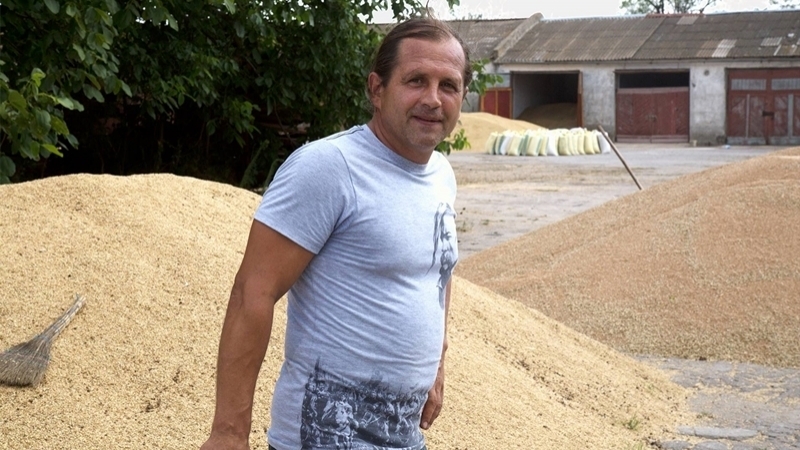 During the hearings Baluh has declared a claim in connection with the proceedings without the presence of a lawyer Dmitry Dinze, but the court has not seen a violation of the right to defence. Two other lawyers of the Ukrainian political prisoner were at the court session. The break has been announced to bring the investigator, who conducted the case, to the court. FSB officers, who had been summoned as witnesses, has not appeared at the hearings again. The “Judge” Maria Bedritskaya refused to repeat questioning session of police officers who had been during the search in Baluh’s house. The "Judge" motivated this decision with the fact delaying of the case consideration. In addition, Vladimir Baluh's sister was taken off from the hall. Unable to withstand what was happening, she loudly stated that the case had been staged. Investigator Sergei Burnashev has been questioned later on the same day. He said that he had not seen any reasons to examine the version that somebody could put ammunition to Baluh’s house. The investigator consider as inappropriate to give assessment of the witnesses who had previously lied about Baluh. Burnashev also did not clearly determine whether there was access for unauthorized persons to the attic where ammunition had been found. 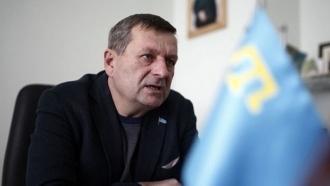 After the interrogation of the investigator Burnashev the court refused to allow lawyers to question the Deputy Head of the Crimean FSB (Federal Security Service of the Russian Federation) Sergei Voronin. The next court session on Baluh’s case is scheduled for July 27. Reference: On December 8 FSB officials in occupied Crimea came to Serebryanka village where they searched houses of Vladimir Baluh and his mother. Following the search, the Ukrainian activist was detained for the possession of 90 rounds of ammunition and TNT blocks, allegedly found in the attic of his house.